We now live in a world where having a good credit score is of utmost importance. While obvious factors such as the ability to get a mortgage, apply for a loan or even obtain a cell phone plan are still pertinent, the phenomenon is now at the point where some employers are running credit checks on potential employees. With that being said, even the slightest default can have a long-lasting detrimental effect on your overall credit score. So what do you do if you need to repair bad credit? This is where credit repair entities such as Lexington Law come in to place. If you’re looking for professional guidance on improving negative marks on your report, then we are going to explore whether or not Lexington Law are a notable option. We’ll discuss who the company is, what they offer, how much they charge and more. By the end of reading our Lexington Law review, you’ll be able to determine whether they are right credit repair agency for you. Before we delve in to the fundamentals, let’s quickly explore what credit repair actually means. What is a Credit Repair and How Does it Work? 1 What is a Credit Repair and How Does it Work? 2 Who is Lexington Law? 3 What Credit Repair Services do Lexington Law Offer? 9 What Negative Credit Report Marks can Lexington Help Repair? 10 How Does Lexington Law Repair my Credit? 11 Does Lexington Law Work? Is it Worth the Money? 12 Lexington Law Testimonials: What Have They Achieved? As the underlying service offered by Lexington Law is credit repair, it is well worth discussing how such a mechanism works. In its most basic form, credit repair refers to the process of repairing a credit score of poor standing. It is important to note that the sole purpose of the credit repair process is to look for derogatory marks against your name, and thus, ascertain if and how this can be improved. This can include a number of adverse marks, such as defaults, charge-offs and in more severe cases, bankruptcies. In order to improve your overall score, credit repair companies will likely need to negotiate with creditors on your behalf. On the other hand, there may be marks on your credit report that you believe have been made in error. 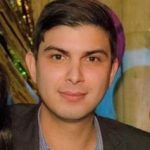 If this is the case, the credit repair agency will dispute this directly with the organization in question. A somewhat unconventional approach that some credit repair agencies also take is to get you to obtain new lines of credit, such as an overdraft or low-limit credit card, with the view of re-building a healthy score. Take note, if your credit rating is already showing signs of strain, you might be best to avoid this option. This is because applying for too many credit-based products can actually have an even more detrimental effect on your score. Nevertheless, if the credit repair agency in question are good at what they do, then they should be fully aware of this anyway. Ultimately, it should be recognized that much of what credit repair agencies do can actually be done yourself. This is especially pertinent if you are looking to challenge marks that have been made in error. However, in more complex situations, you might be best utilizing the legal and financial expertise of a credit repair company. So now that you have a firm grasp of what credit repair actually is, let’s take a closer look at who Lexington Law is. Lexington Law is a credit repair agency that were first launched in 1991. As such, this makes them highly established in the field of credit repair. 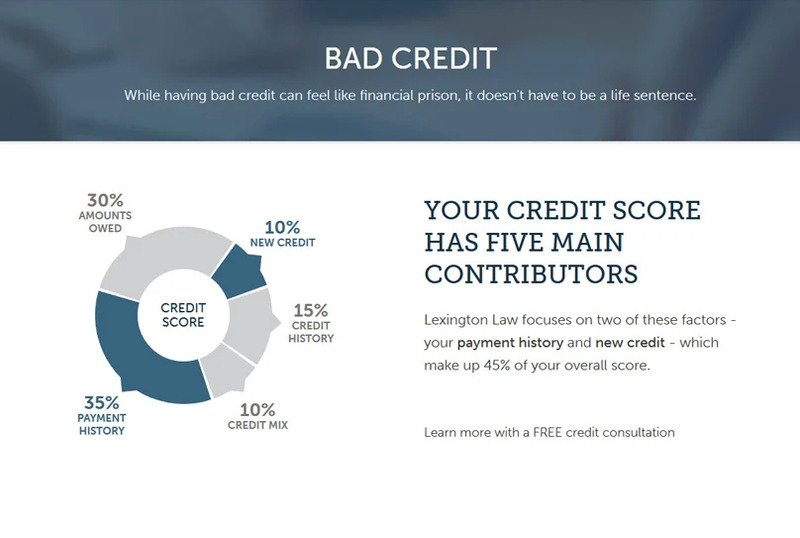 Based in North Salt Lake, Utah, Lexington Law claim to have assisted more than 500,000 customers with their credit score endeavours. In order to achieve their goals, Lexington Law utilize the services of more than 24 licensed lawyers, who are based across 19 different U.S. states. In the vast majority of cases, customers use Lexington Law with the view of improving their credit score before applying for a mortgage. Outside of of the mortgage finance sphere, the company is also engaged in advice related to student loans, identity theft and divorce. One of the strongest selling points from the perspective of Lexington Law is that they are not only a fully-fledged law firm, but their primarily specialism is that of credit law. This is of huge importance, not least because other companies from within the credit repair space often do not employ qualified lawyers, nor anyone licensed to give legal advice on credit. Moreover, and as we will discuss in more detail further down, Lexington Law is also one of the cheapest credit repair agencies in the industry. Add this on top of the fact that you’ll likely be able to obtain a free consultation, some of the services offered by Lexington Law are of good value. On the other hand, although Lexington Law are better priced than many of their competitors, using a credit repair agency is not cheap. 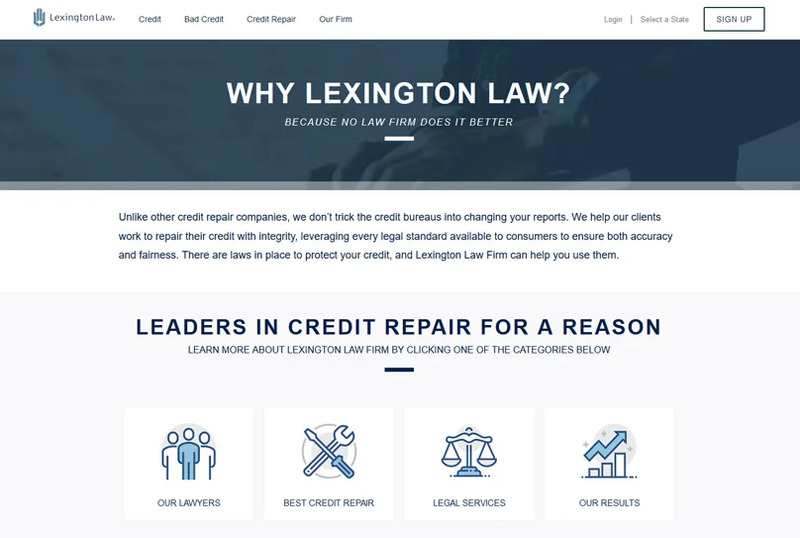 So now that you have a good idea as to who the credit repair firm is, in the next part of our Lexington Law review we are going to explore their services in more detail. What Credit Repair Services do Lexington Law Offer? In a nutshell, Lexington Law offer four individual credit repair services, each of which come with their own costing levels. The service tier that you decide to sign-up for will ultimately depend on how extensive you need to credit repair to be. If you’re looking for the absolute basic of credit repair services, then you might want to consider Lex OnTrack. You’ll pay a fee of $24.95 per month for this, and you’ll need to call the team directly if this is the option you’re looking for. In reality, the Lex OnTrack service is only really suitable for those that need to budge their credit score by a smudging. This is likely to include minor defaults or simple clear-cut errors. Anything more than this and you’ll need to think about another plan. In layman terms, this means that the team of legal practitioners at Lexington Law will make direct contact with both credit bureaus and creditors, with the view of getting your overall credit report in-line. Next up in the Lexington Law service tier is the Concord Premier plan. As one would expect, this comes at a higher price, which amounts to $109.95 per month. This particular service takes things to the next level, subsequently adding additional methods to resolve your credit problems. On top of the credit bureau challenges and credit intervention services available within the Concord Standard plan, you’ll also get inquiry assist, score analysis, report watch and TransUnion alerts. Inquiry assist: This provides Concord Premier subscribers with the tools required to challenge unfair credit score damage. This is usually the case when adverse footprints are left when creditors check your report. Score analysis: This is a highly advanced personalized credit report based on five key factors. You’ll receive this each and every month during your Concord Premier subscription. Report watch: The report watch feature is a useful service that allows you to receive direct training on how to evaluate and resolve adverse credit report changes as and when they materialize. 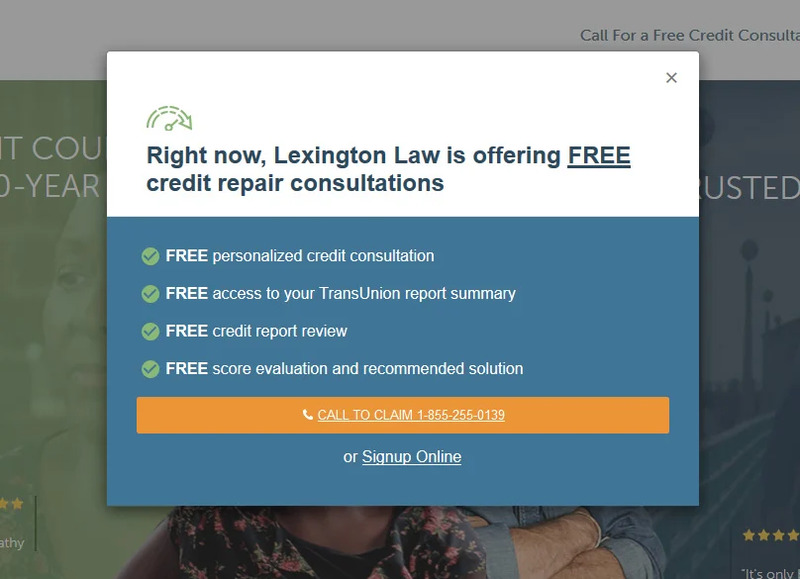 TransUnion alerts: This particular service sees Lexington Law monitor your credit on a daily basis via TransUnion. You’ll receive real-time updates in the form of an email or text message, should anything notable occur. If you’re looking for the full 360 degree credit repair service from Lexington Law, then you’ll need to stump up a whopping $129.95 per month for the PremierPlus plan. Although at first glance this does seem somewhat expensive, you need to ask yourself what you are looking to get out of the credit repair process. If you need to increase your score quite considerably in order to obtain a mortgage, then you might need the full works. On top of getting all of the services offered via the Concord Standard and Concord Premier tiers, you’ll also get access to cease and desist assistance, FICO Score Tracker, identity protection and personal finance tools. Cease and desist assistance: For those unaware, a cease and desist letter is a legal document sent to either an individual or company with the view of stopping certain actions.In the case of credit repair, this would normally seek to stop creditors or debt collection agencies from making contact to the debtor. If you’re subscribed to the top-tier plan, Lexington Law will initiate this on your behalf. FICO Score Tracker: FICO is one of the most important credit score frameworks, not least because more than 90% of U.S. lenders use it. Lexington Law will track your FICO score for you, and notify you of any notable changes. Identity protection: The identity protection feature is potentially one of the best add-ons from the premium plan. This ensures that Lexington Law guard your identity 24/7. Personal finance tools: This allows you to check your outstanding finance accounts from within the Lexington Law portal. Apart from the Lex OnTrack package, which must be obtained by calling Lexington Law directly, you can sign-up to all of the service levels online. In terms of payment methods, you can either pay by credit card or automated draft via your standard checking account. 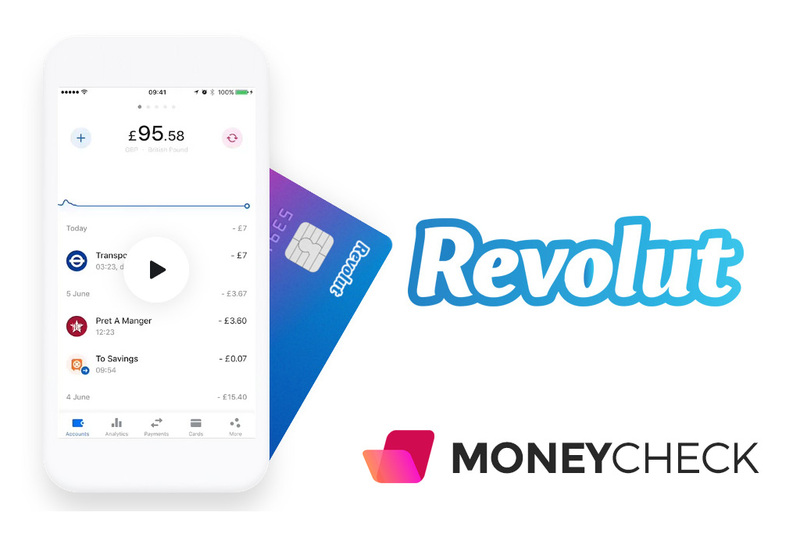 The monthly rates are charged to your chosen payment method from between 5 and 15 days after you sign-up. After this, you’ll be charged every 30 days. If you decide that you want to cancel your Lexington Law subscription, you can do this at any time. Take note, if you cancel during a billing month, you’ll be charged a final payment for the services already performed. The fact that you can utilize the services of Lexington Law on a month-by-month basis is definitely a plus-point, as some providers lock you into longer subscription plans that cannot be cancelled early. 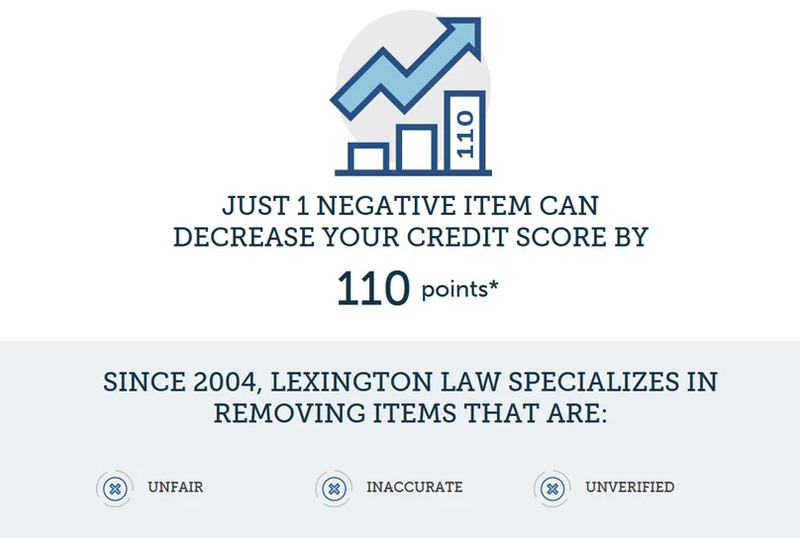 So now that we’ve covered the main service plans offered by Lexington Law, let’s take a closer look at some of the negative credit report marks they might be able to help with. What Negative Credit Report Marks can Lexington Help Repair? In the vast majority of cases, credit repair providers such as Lexington Law are best suited for standard defaults or missed payments. This can come in in a number of different manners, however the important thing to note is that a single missed payment can instantaneously have a detrimental affect on your score. One such example of this is something as simple as a missed cell phone payment. Although the amounts in question are likely to be minute, in the eyes of credit bureau agencies this indicates that you did not honour your credit agreement. In fact, if left untreated, such a default can stay on your credit report for up to 7 years. The next level up from a missed payment or default is a charge-off. This is where a creditor will make a declaration that the debtor is unlikely to meet their dues, and this is usually the case after 6 months without a single payment. Charge-offs are significantly more severe than a single missed payment, not least because it indicates that the debtor has a problem meeting their credit obligations. When it comes to student loans, a missed payment can have serious effects on your credit score if you fail to make a payment within 90 days, or 30 days for a private loan. If you fail to make a federal student loan payment for 270 days, then this is classed as a default. In terms of mortgage payments, if the consequence of prolonged defaults results in a foreclosure, then creditors will be able to see this on your report for up to 7 years. Ultimately, many of the more serious credit defaults on your report will require significantly more attention than a minor missed payment. So now that you know the types of negative marks that Lexington Law will strive to repair, in the next part of our review we are going to review the standard four step plan executed by the firm. When you sign up to Lexington Law, there is a standard process that the credit repair agency take. Take note, some of the services outlined below are only available for higher tiers. Case Intake Once you first sign-up, Lexington Law will initially obtain your full credit reports from the three major bureaus. 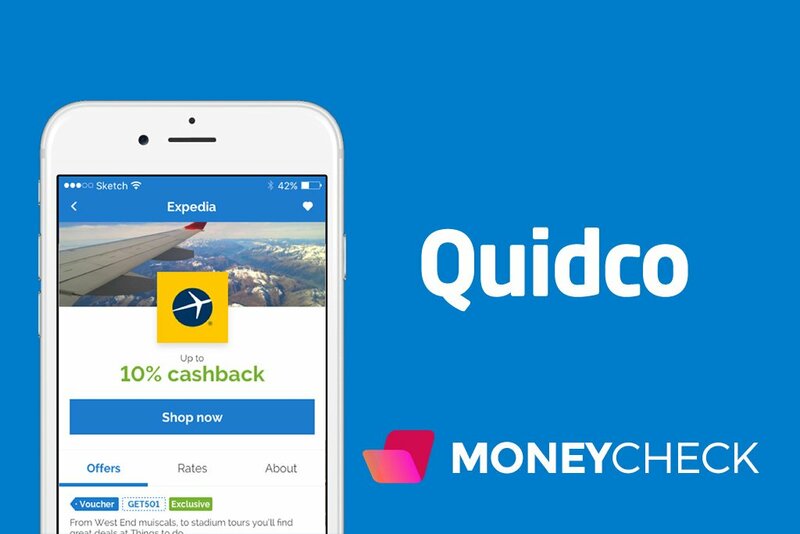 Notably, this includes Equifax, TransUnion and Experian. This will allow the team at Lexington Law to assess your individual case, and determine which steps need to be taken next. Legal Action Once the Lexington Law paralegals have reviewed your credit reports, they’ll then begin to make contact with your respective credit bureaus and creditors. This will see the team target specific marks that have been made on your report. Credit Score Analysis Once the initial legal action process has been initiated, those that have signed up for the Concord Premier or above plans will have their credit scores analysed each and every month. The team will look out for any potential improvements that can be made, with the view of repairing your score on an ongoing basis. Moreover, you also have the option of contacting the paralegal team at Lexington Law for further credit repair-related assistance, training and tips. Follow-up and EscalationThis is potentially one of the most important steps to the Lexington Law service plan, as it sees their team take legal proceedings to a federal level. This is likely to be in the event that a creditor or credit bureau has refused to take a specific action relevant to your score, and thus, Lexington Law will take the required legal steps for resolution. Does Lexington Law Work? Is it Worth the Money? This is potentially one of the most difficult questions to answer, as there really is no one-size-fits-all approach to credit repair. First and foremost, it is important to note that there are never any guarantees that Lexington Law will be able to achieve the results you are looking for. This indicates that Lexington Law are very upfront about what it is they can do. While they are confident in their 27+ years experience in the credit repair industry, they make it clear that they cannot offer any guarantees. In terms of the fundamentals, Lexington Law claim to remove an average of 10.2 negative marks per client over the course of 4 months. This covers all three credit bureau reports. This will allow you understand some of the results that Lexington Law have successfully achieved. Lexington Law Testimonials: What Have They Achieved? When you access the main Lexington Law platform, the website has a dedicated testimonial section. This contains details of how the firm have serviced specific clients, and subsequently helped them improve their credit report. However, although Lexington Law are a highly established company with a long-standing reputation in the credit repair space, it is always best to obtain testimonials available within the public domain. This ensures that you are able to obtain an impartial and unbiased viewpoints. One of the best sources in this respect is the likes of Consumer Affairs. The website contains more than 1,300 reviews on the services offered by Lexington Law, which is an excellent mechanism to gauge the general consensus. Quite a lot of the reviewers talk about a mismanagement of credit in their early 20s, however this is something Lexington Law were able to see to. Moreover, a lot of clients express their delight that Lexington Law were able to improve their credit scores within just a couple of months. Ultimately, although the general consensus is that Lexington Law are capable of producing some notable results, once again there is no guarantee that they will be able to repair your credit. This is because each and every case is unique. In conclusion, if you’re looking for a credit repair agency that is able to fix adverse marks on your credit report, then Lexington Law are a noteworthy contender. The fundamental benefit to using Lexington Law is that they are not only a fully licensed law firm, but their specific area of expertise is in credit law. This is huge in the credit repair space, not least because a lot of agencies do not have the required legal training to provide you with what you are looking to achieve. One the one hand, prices are now cheap at Lexington Law. Excluding the Lex OnTrack plan, which doesn’t really offer anything of value, the minimum monthly charge that you’ll be looking at is $89.95. Moreover, if you want the full works, which you might need if your credit score is really adverse, then you’ll likely need to go for the top tier package at $129.95 per month. However, on the other hand, having a good credit score is absolutely crucial in the modern world. This is especially true if you are looking to get on the property ladder and you’re staring at a negative score.